​KPMG Football Benchmark have released their third annual report on the champions of the top eight leagues across Europe, including a starting lineup of the most valuable players from these teams. The professional services and auditors describe the ​document as a "business intelligence tool enabling relevant comparisons with competitors" encompassing the facets of club business and operations, social media analytics and player evaluation. In regards to the latter, they boast a "propreitary algorithm, which calculates the market value of 4,700 football players from nine European and two South American leagues". Basing their data as of January 1st 2019, they claim that: "Manchester City FC possess the most valuable team (at €1,182m), while at the players' level, ​Neymar is the most valuable footballer (€229m), followed by ​Kylian Mbappe (€215m) and ​Lionel Messi (€203m)." 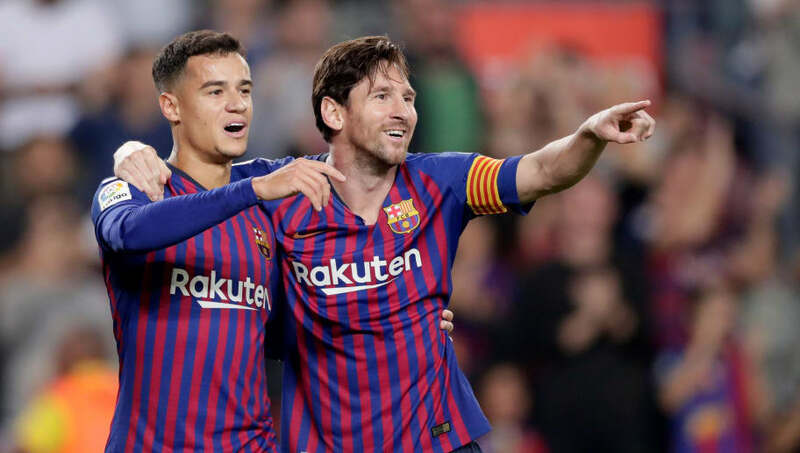 Naturally, these three are included in the Dream Team XI that the company have assembled, which also includes Barcelona's Marc Andre ter Stegen (€89m), Jordi Alba (€50m), Samuel Umtiti (€72m) and ​Philippe Coutinho (€118m). Manchester City's representatives come in the shape of John Stones (€65m), occupying the central defensive role alongside Umtiti, and ​Kevin De Bruyne (€129m) who is in a midfield alongside Coutinho and Juventus' Miralem Pjanic (€69m). Our new European Champions Report is out – follow us to compare some key business performance indicators of the champions of Europe’s 8 most prominent leagues in the 2017/18 season. Bayern Munich's Joshua Kimmich rounds up the list at right back, with a value of €67m. By way of explaining the raison d'etre for this document, they declare: "Football is undergoing an important phase of change from a business point of view, with top clubs moving towards an entertainment company model, transforming football organisations into real global brands capable of attracting not only fans, but actual customers, and thus capturing audiences from all over the world."